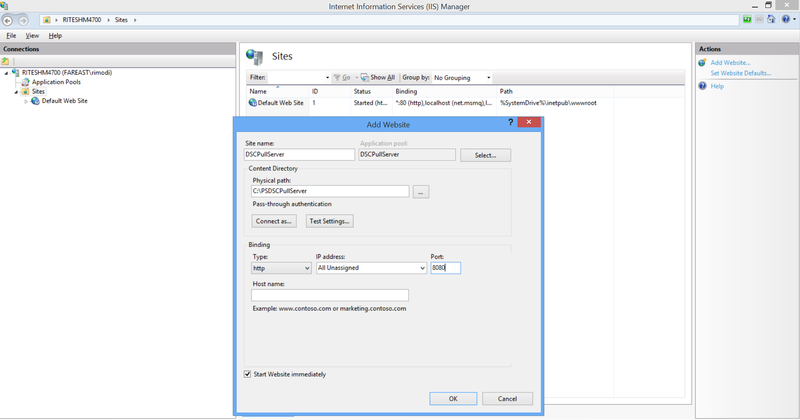 Local Configuration manager in WMF 5.0 February preview release has introduced newer properties along with additional configuration values. 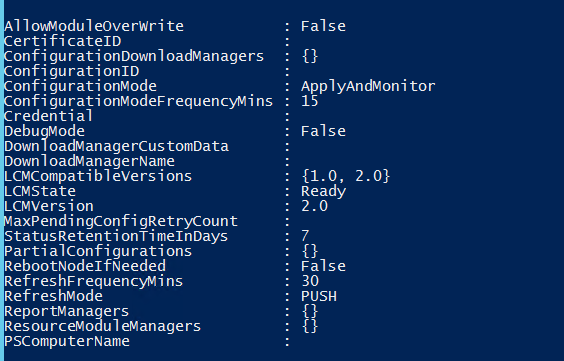 Below are updated and latest configuration values for some of its properties. There is no change in the ConfigurationMode property. 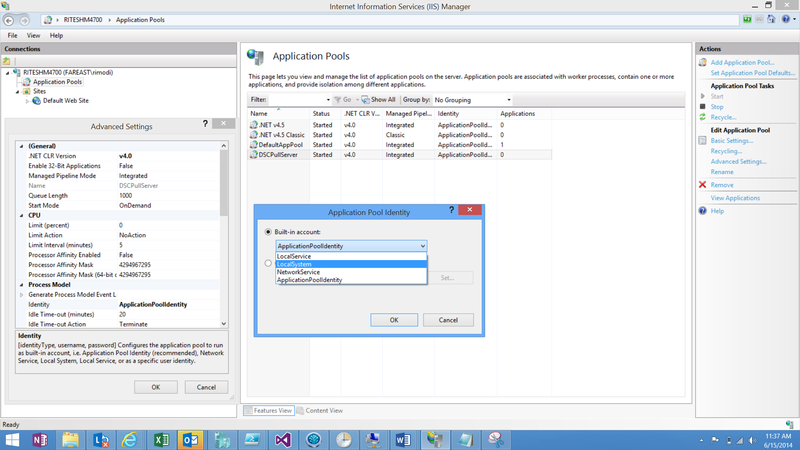 The applicable value are same as in previous version – “ApplyOnly”, “ApplyAndMonitor” and “ApplyandAutoCorrect”. DebugMode has added newer set of values. Earlier DebugMode used to accept boolean values – either “true” or “false” determining if the resource modules should be cached or not. It has gone complete change and now it accepts four different values instead of boolean true or false. “None” signifies that DebugMode is False and not applicable. “ForceModuleImport” enforce the resource module to be reloaded instead of using the cache. This is similar to “true” value in previous versions. “ResourceScriptBrealAll” helps in debugging DSC resources when Local configuration manager tries to execute their functions. More on it in subsequent blog posts! 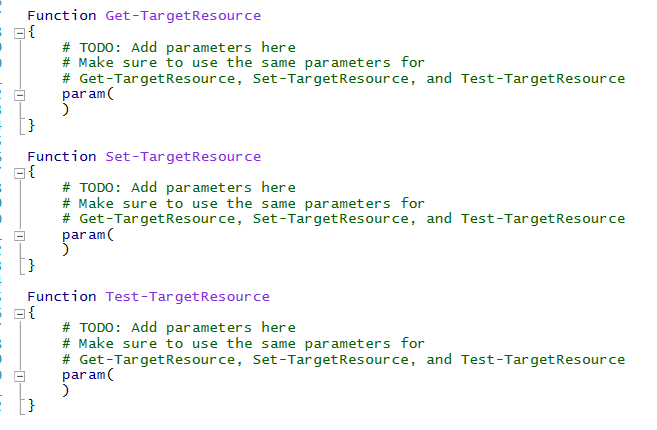 “All” signifies that debugging as well as reloading of modules are both enabled. LCMState determines the current state of LCM, whether it is busy executing and applying configurations or is waiting for a node reboot to happen or doing nothing. Each of these three states are represented through three different values. “Busy” while LCM is working on the target node, “PendingReboot” while LCM is waiting for node to restart and “Ready” when LCM is doing nothing. It could be waiting for commands to apply configurations or pull configuration or reapply apply configuration. We will delve deeper into these configurations in subsequent blog posts! Local Configuration Manager is coming off a long way and I personally think it still has a long way to go. However, with its latest and current February 2015 release there are many new interesting features compared to its earlier preview release. Infact, many of the features featuring in November 2014 release have now stabled. 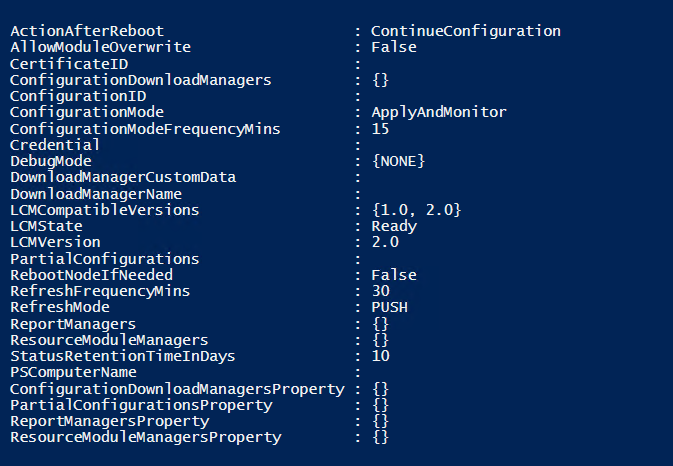 The following command can be executed on each of the DSC versions to view the Local Configuration Manager settings available. 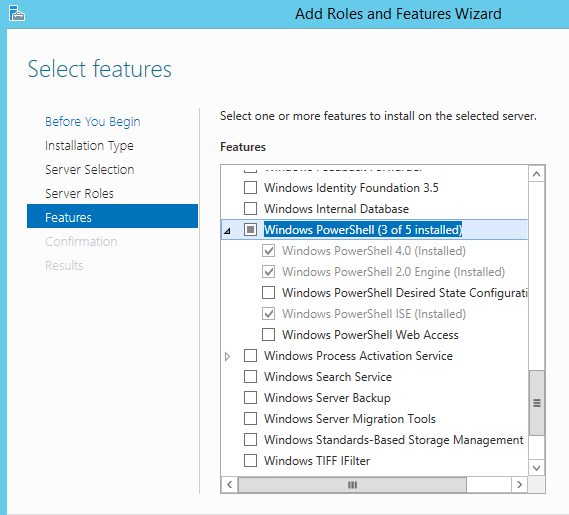 You can see that the features and functionalities provided are ever increasing to DSC Local Configuration Manager and making it a really powershell agent for Configuration and deployment management. We will deep-dive into each of these properties to know how they work and impact the configurations and their execution. Desired state Configuration is coming off a long way and I personally think it still has a long way to go. However, with its latest and current February 2015 release there are many new interesting features compared to its earlier preview release. Infact, many of the features featuring in November 2014 release have now stabled. 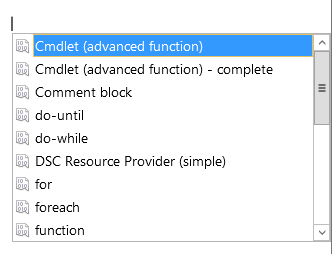 One of the features that keeps on getting more is the support of cmdlets for managing DSC. In this new release there are as many as 18 cmdlets which is more than double from its first release in WMF 4.0. 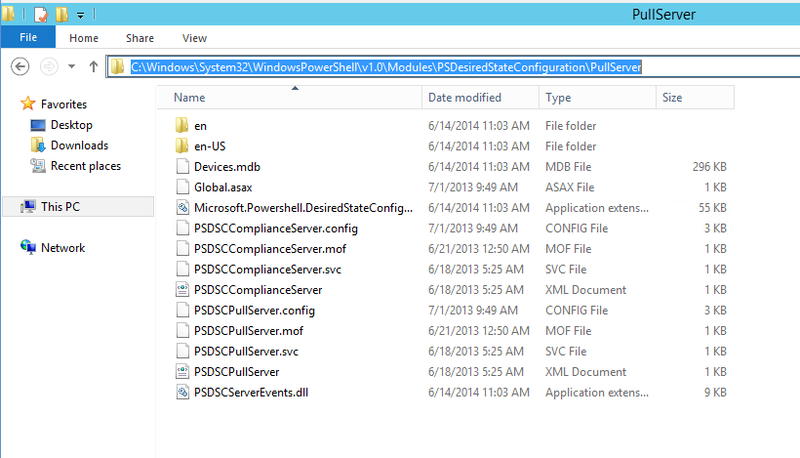 The following command can be executed on each of the DSC versions to view the cmdlets available. You can see that the features and functionalities provided are ever increasing to DSC full featured configuration management and deployment framework with enough commands at the hands of the DevOps people.